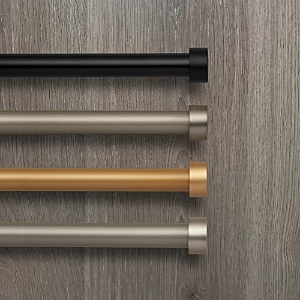 European style curtain hardware from classic to modern for perfect window displays. Cast brass Stoneware Add a textured touch to your space with this tasseled hanger, suited to dangle from knobs, hooks, and more. Handcrafted covered wooden tassel. Embellished with small tassels and twisted cords. Thread covered wooden tassel embellished with small tassels, beads, and twisted cords. Thread covered wooden tassel embellished with small tassels, beads, and twisted cords. Ceramic bird head with rayon skirt tassel embellished with beads and twisted cord. Handcrafted covered wooden tassel. Embellished with small tassels and twisted cords. Handcrafted covered wooden tassel. Embellished with small tassels and twisted cords. Polyester/rayon thread. 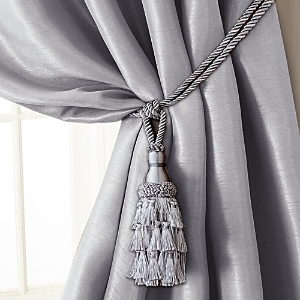 The Cordelia curtain rod from Elrene Home Fashions is the perfect accent to your transitional space. The set features an adjustable rod and sleek, globe finials that can accompany a multitude of curtain designs. 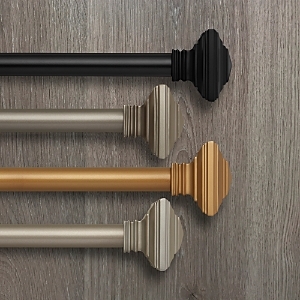 The Serena telescopic curtain rod set from Elrene Home Fashions offers a contemporary design with cap finials, clean lines and trendy finishes. 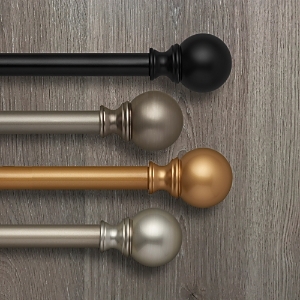 The Florence adjustable single curtain rod from Elrene Home Fashions with eloquent stacked square finials is the ideal window hardware set for your sophisticated interior decor.